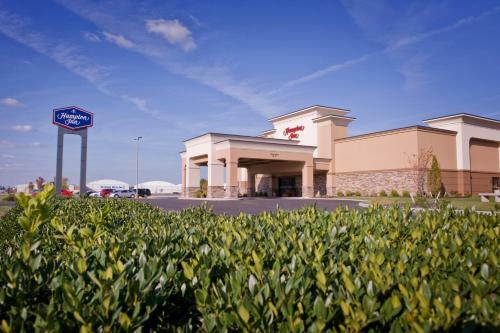 Evansville Regional Airport is a 4-minute drive from this Indiana hotel. 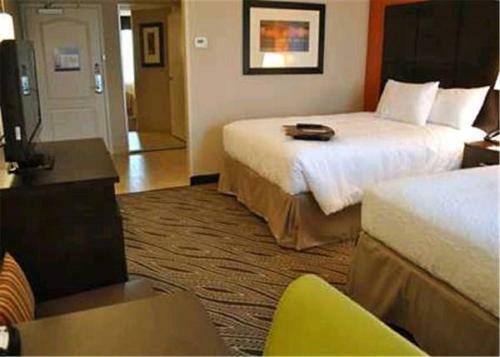 A free-form indoor pool and warmly decorated guest rooms with a flat-screen TV are offered. 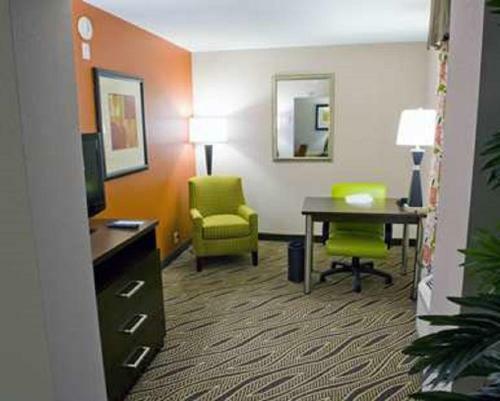 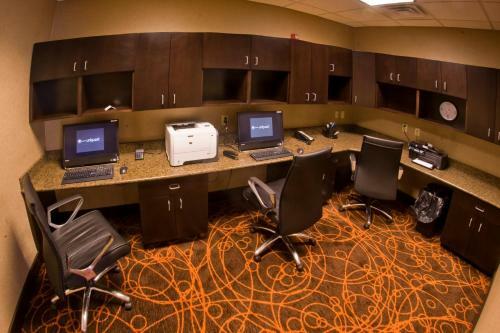 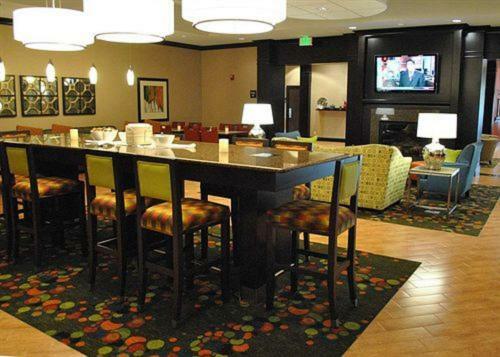 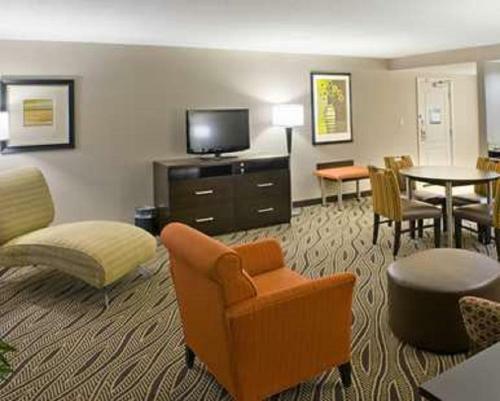 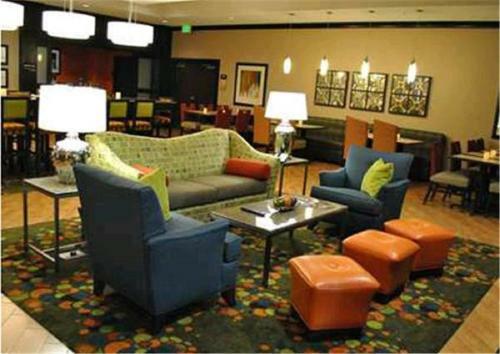 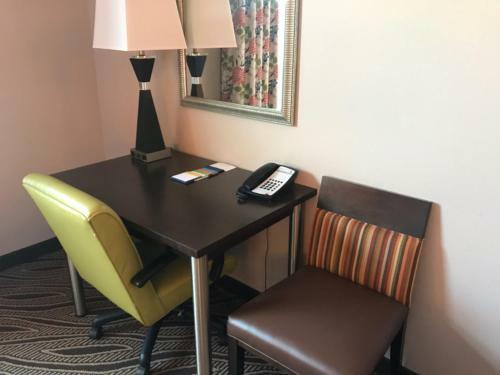 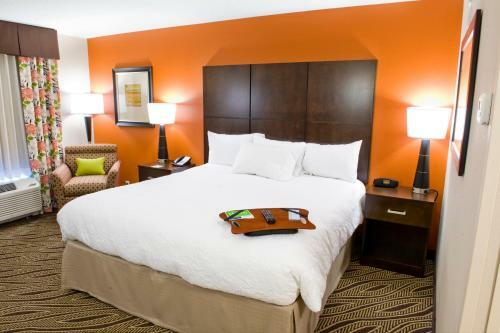 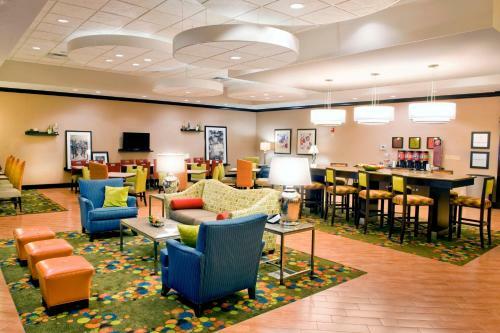 Dark wood furniture and an accent wall are featured in the rooms at Hampton Inn Evansville Airport. 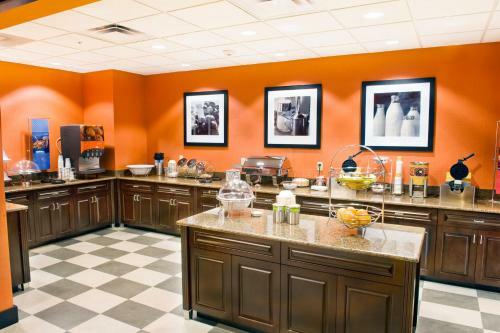 All rooms include coffee facilities. 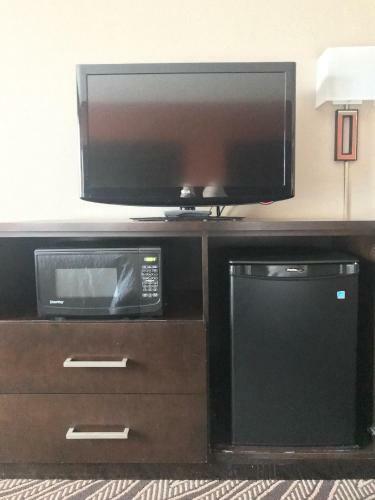 The suite provides a microwave and fridge. 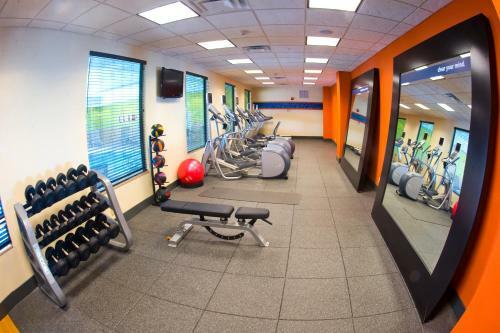 A well equipped gym and a business center are on site at the hotel. 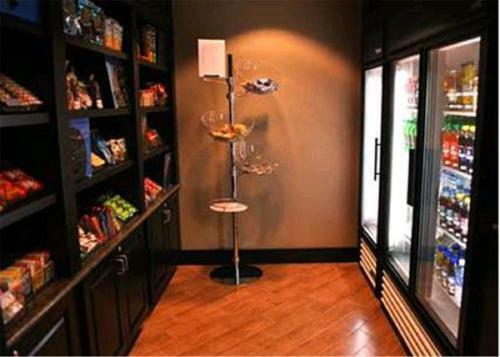 For added convenience laundry facilities are available. 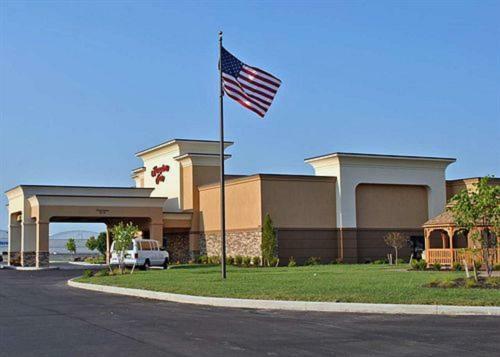 Mesker Park Zoo & Botanic Garden is 7.3 miles from Evansville Airport Hampton Inn. 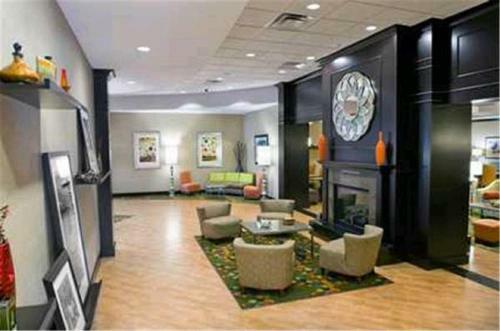 Evansville Museum of Arts, History, and Science is 6.5 miles away. 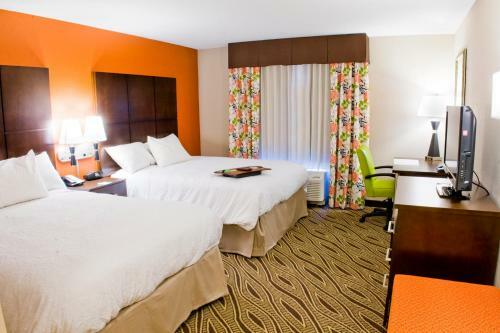 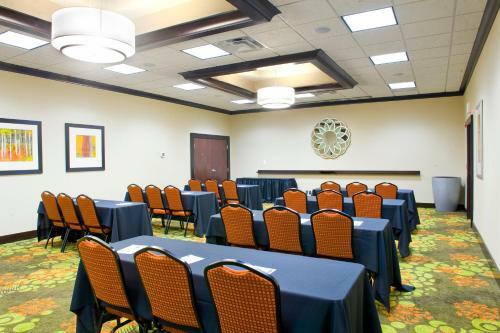 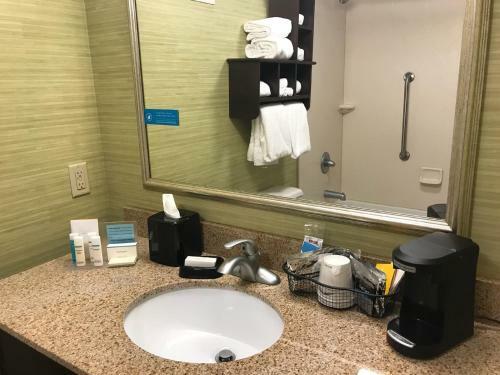 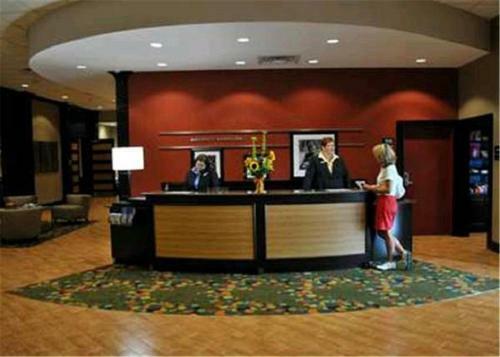 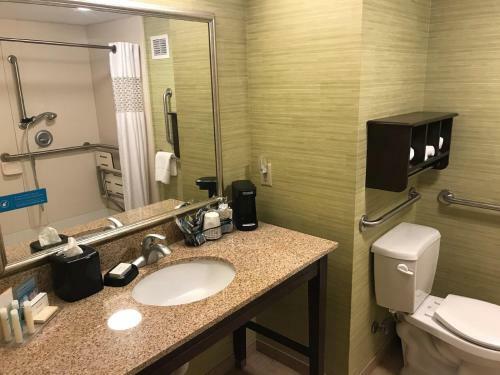 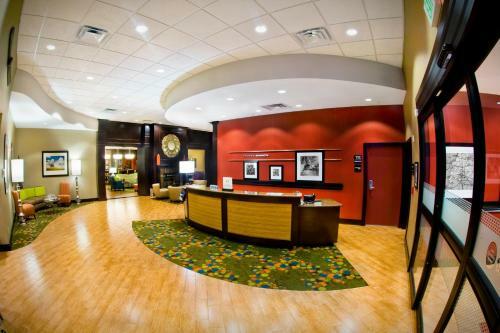 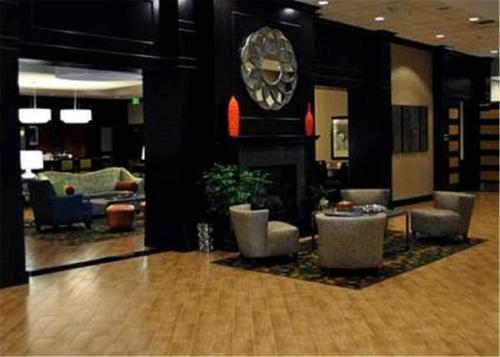 the hotel Hampton Inn Evansville Airport so we can give you detailed rates for the rooms in the desired period.